For a pet lover whose home is already at maximum capacity, it may be a good idea to stay out of the animal shelter. People who love animals are often saddened to see so many wonderful pets living in conditions like that, and no matter how wonderful your local shelter or rescue is it is not home for these animals. Luckily, there are some ways that you can make a difference at your local shelter, and help out in the lives of cats, dogs, birds, rabbits, and even ferrets in your community. 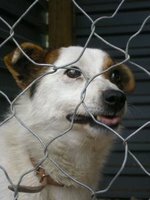 One can only hope that they find their forever home someday soon, but that is not always possible for some pets and that is the reality of the humane societies and shelters of the world. You can make a difference by volunteering of your time and efforts to increase the quality of life for those pets that have yet to find a warm, loving home of their own. Some pet lovers choose to foster animals in their home. This means providing care, love, food, and shelter to pets that would otherwise be in the shelter—at least until they find more long term homes of their own. The pets live in your home during a foster program, and it is your responsibility to make sure that they get into events and such that could help them get adopted. If you can't take any more pets into your home, it is possible to volunteer your time at the shelter. They are in need of people all the time to clean kennels, play with kitties, walk dogs, and talk to people at the shelter about their options. Talk to your local facility and see how you can get involved in either or both of those ways. Pet Fashion: What's That About ? Copyright 2006-2007 Pamper Me Puppy. All rights reserved. Offering Dog Supplies.